100% Melamine made in Malaysia Size: 5.5", 7", 8", 9" Color: Black, Dishwasher Safe Break Resistant. 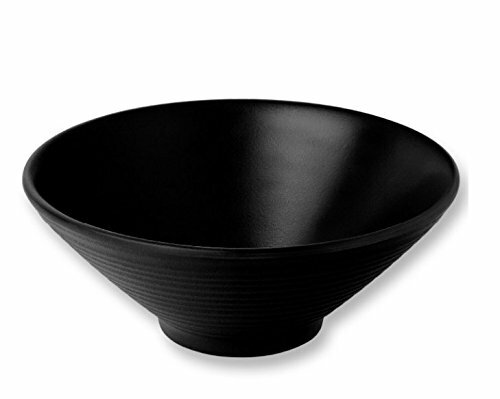 This size of Bowl is perfect for Ramen Noodle Soup, Pho Noodle Soup, Chinese Wanton Soup, Rice and Serving use. 100% Melamine, Food Safe and BPA Free. Safe for temperatures up to 212 degree F / 100 degree C, but NOT recommend for conventional oven or microwave oven use. 100% Melamine made in Malaysia, Size: 5.5", 7", 8", 9"
If you have any questions about this product by Z-Moments, contact us by completing and submitting the form below. If you are looking for a specif part number, please include it with your message.